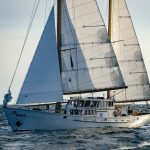 The Sail Training Ship Zenobe Gramme was originally designed as an oceanographic research vessel by the naval architect Van Dijck and was built in 1961 at the former Boel shipyards in Temse, Belgium. She is named after the scientist Zenobe Gramme, the inventor of the dynamo (1869). She was used as a research vessel until 1970, since then she has exclusively been used as a sail training and public relations vessel. BNS Zenobe Gramme, a 29 m (92 ft) Bermuda Ketch, is owned and operated by the Belgian Navy. The ship has been adopted by the Bruxelles Royal Yacht Club. Her home port is the Belgian Naval base in Zeebrugge. The crew consists of 1 Officer, 6 crewmembers and 10 trainees. She participated in The Tall Ships Races for the first time in 1972 has been a regular participant ever since. She won the Cutty Sark Trophy in 1976 and the Hans Reith Memorial Trophy and the Sail Training International Ince Trophy in 2003. 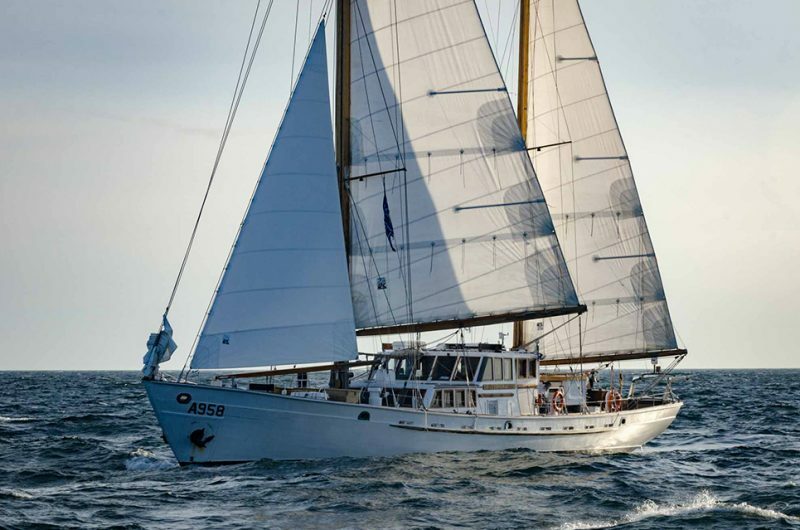 She has covered 300.000 Nautical miles (557.000 km) since 1961.